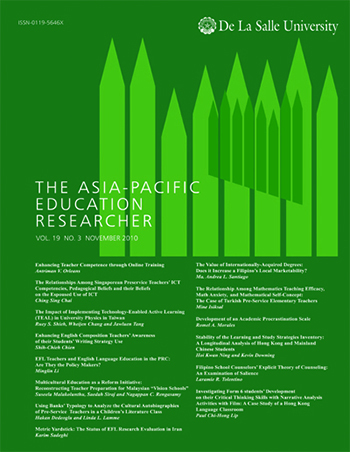 The Asia-Pacific Education Researcher is indexed and abstracted in the Social Sciences Citation Index, Social Scisearch, and Journal Citation Reports/Social Science Edition. 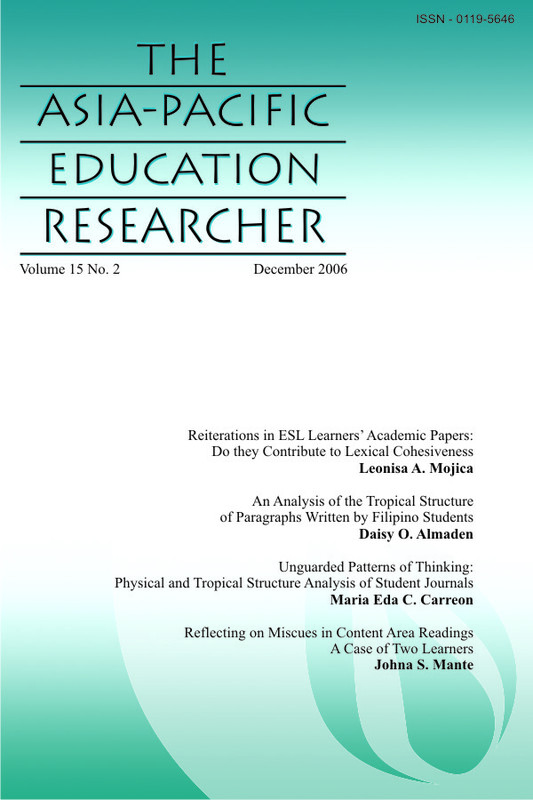 The journal is listed in the Thomson ISI and Elsevier SCOPUS. 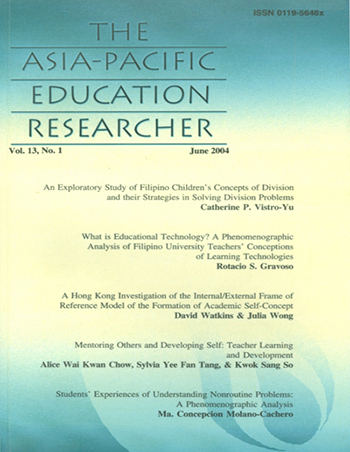 It is an international refereed journal of original research in education, published triannually by the Academic Publications Office, De La Salle University, Manila, Philippines. 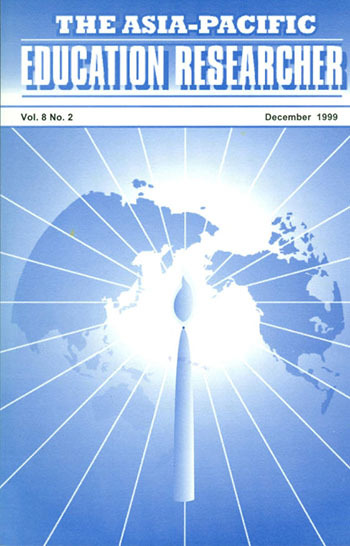 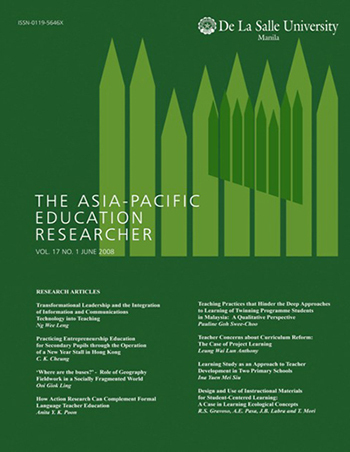 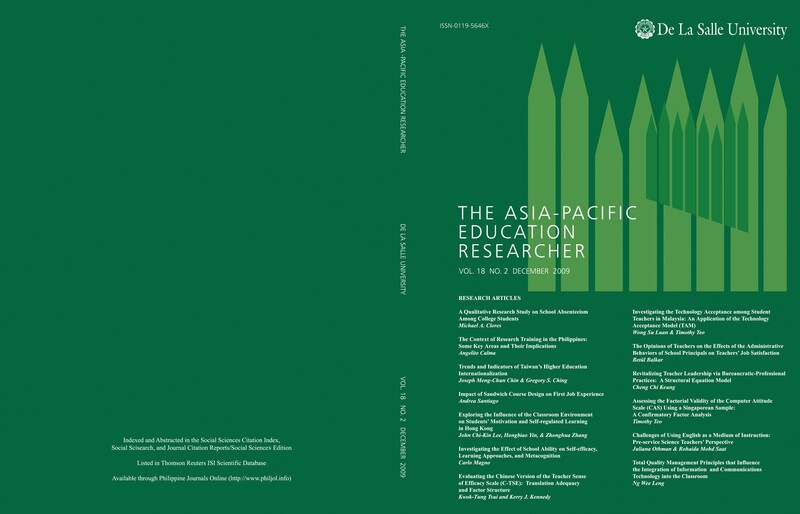 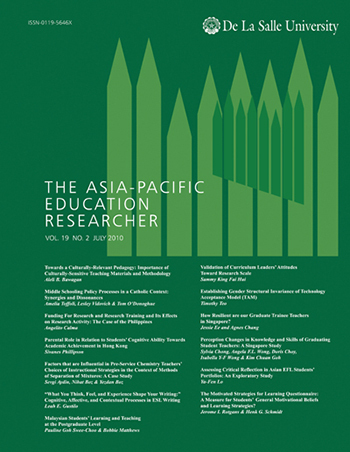 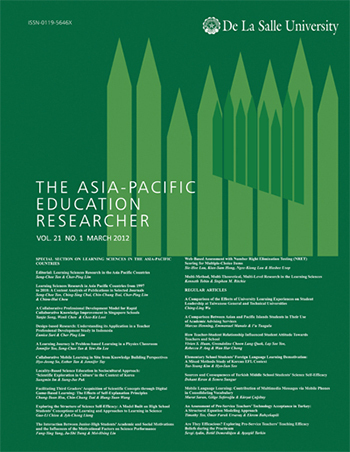 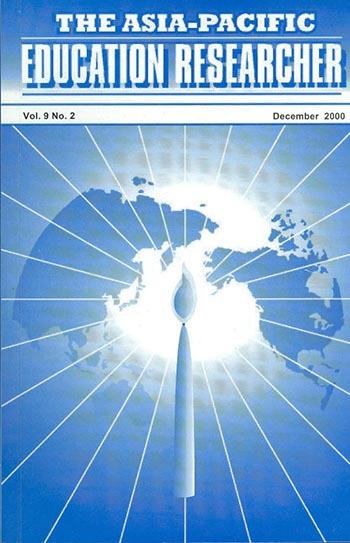 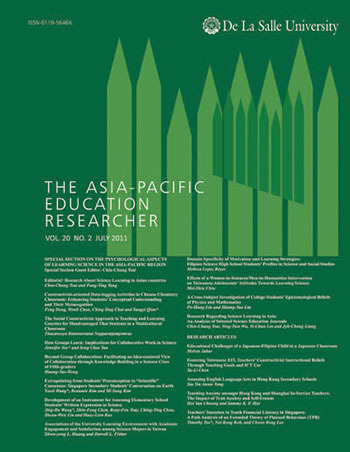 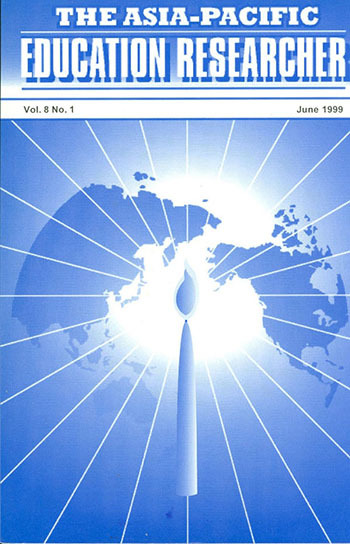 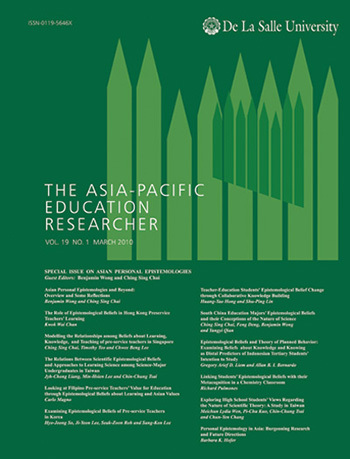 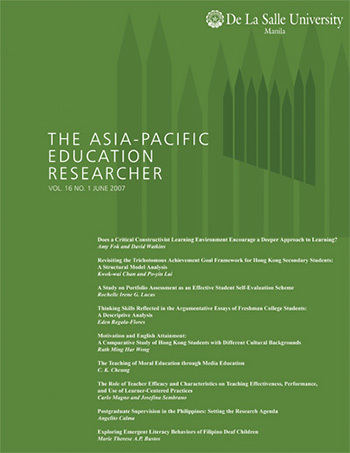 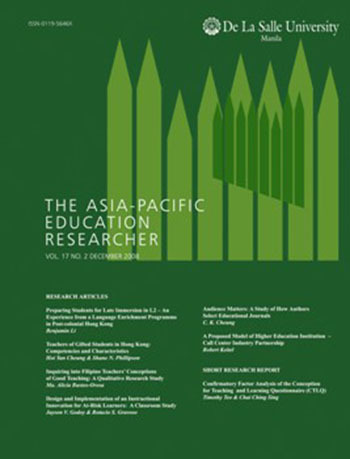 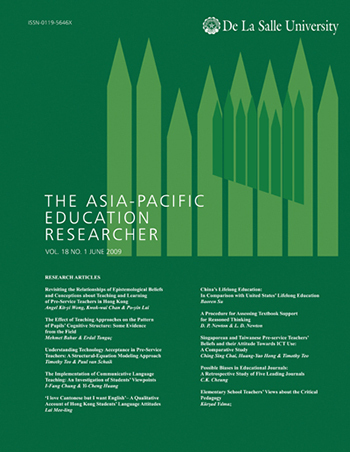 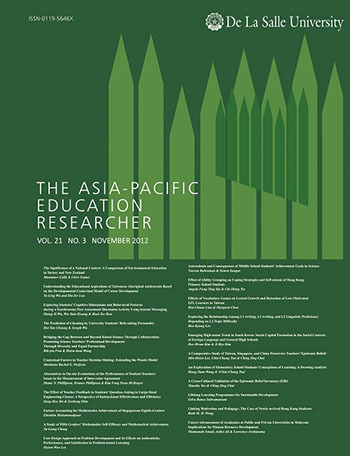 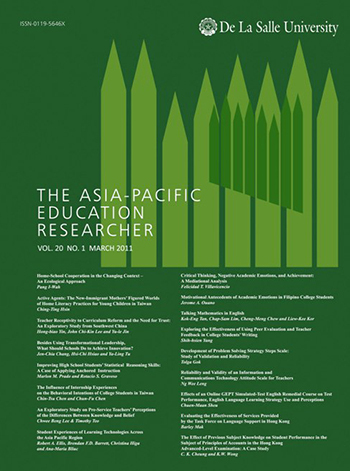 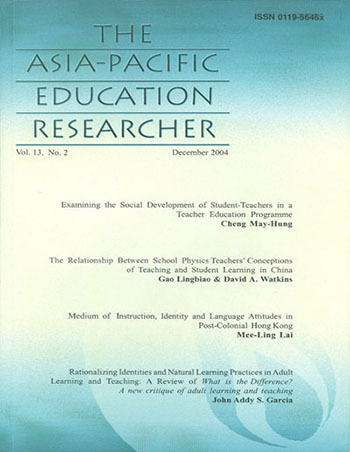 It aims principally to provide a venue for the publication of empirical and theoretical studies in education, with emphasis on the experiences of successful educational systems in the Asia-Pacific Region and of the national educational systems therein that are presently underrepresented in the research literature. 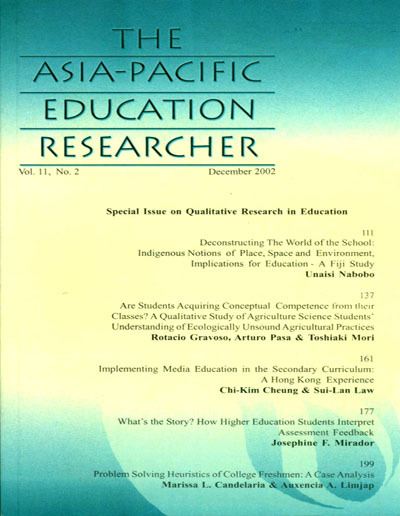 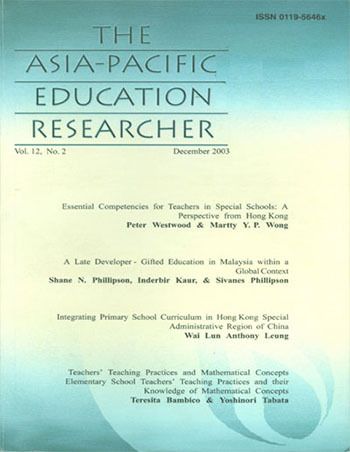 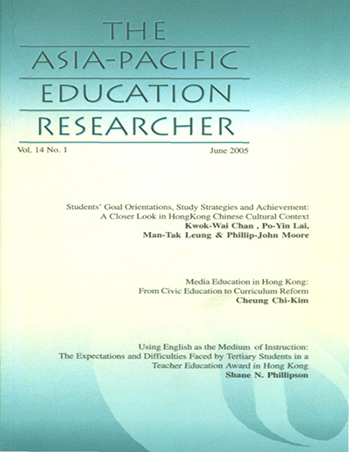 The Asia-Pacific Education Researcher is indexed by Thomson Reuters (formerly ISI) and with an Impact Factor of 0.632 in the 2010 Journal Citation Reports/Social Science Edition.